Baton Rouge, LA – August 20, 2014 – Commuters in Vancouver, BC can now surf the internet while they cruise around the city on public transit buses, thanks to new campaign from TELUS, the Wireless and Internet service provider based in Western Canada, and Lamar Advertising Company (Nasdaq: LAMR). Lamar Advertising of British Columbia is pleased to announce the launch of Vancouver’s first Wi-Fi enhanced full wrap advertisement on public transit buses. 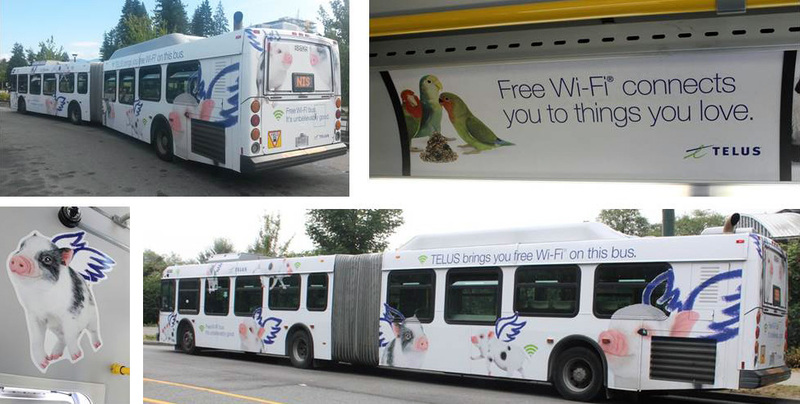 TELUS Wi-Fi enhanced full wrap transit advertisements featured on exterior and interior of buses in Vancouver, BC. Riders can enjoy free Wi-Fi connectivity (courtesy of TELUS) on any mobile device while commuting on any one of three TELUS-branded buses in the Metro Vancouver area. The buses are fully wrapped with TELUS’ logo and free Wi-Fi announcements on the bus interior and exterior, making them highly visible and easily identifiable. Commuters who board the TELUS-branded buses are greeted by a TELUS opt-in splash page on their mobile device. From there, they can access free Wi-Fi and check emails, surf social media channels and watch streaming videos while riding the bus. The TELUS Wi-Fi enhanced bus campaign started at the beginning of August and will run as a pilot project for the next six months. 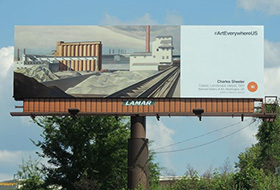 Lamar Advertising Company (Nasdaq: LAMR), a leading owner and operator of outdoor advertising and logo sign displays, announces the Company’s operating results for the second quarter ended June 30, 2014.